Well – it’s that time of year again! As well as installing Christmas lights at numerous locations in Somerset and the South West (including Shepton Mallet High Street and Cockington Hall in Devon); we were particularly proud of the festive lights and Christmas decorations we installed at Clarks Village, Street. This prestigious factory outlet shopping centre welcomes thousands of visitors over the Christmas period and stage an official ‘switching on’ ceremony including lights and laser show. This was our 9th year working with Clarks Village to ensure that their festive display created the right atmosphere and added to the Christmas shopping experience for their visitors. We installed a 36ft Christmas tree – complete with decorations and 3,240 LED lights on the tree alone! 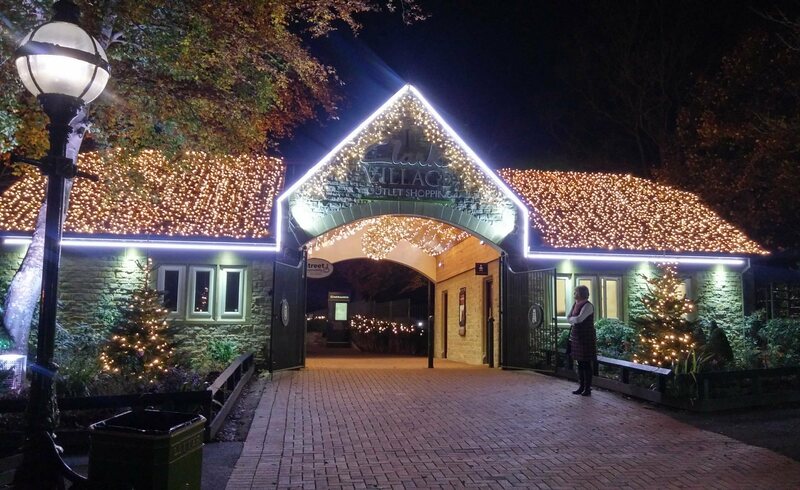 The centre itself was decorated with 800 metres of illuminated garland, the existing trees were wrapped and lit and all of the public areas received a sprinkling of festive cheer! The biggest hurdle on this project is being able to install all of the required elements around the opening hours of the factory outlet centre. Many of the lights and decorations are high up on the shops an buildings and require specialist access equipment to install. This obviously can’t happen when the public are around and so much of the work occurs in the wee small hours. It is extremely hard work but we love seeing the enjoyment and appreciation on the faces of the visitors. We start planning our Christmas installations during the summer months, so if you are considering a large scale Christmas lighting project in Somerset or the South West, get in touch as soon as possible. We are experts in this field and will be happy to help you plan your project.